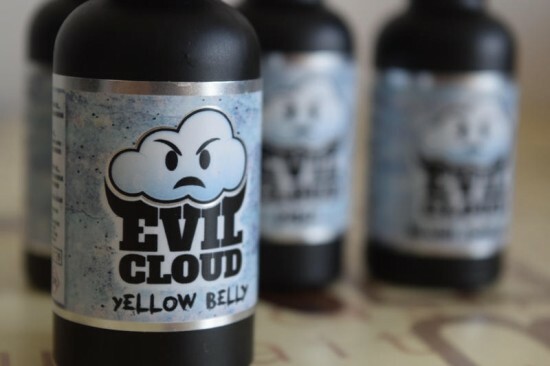 Evil Cloud is a UK-based e-juice company that has apparently spent months creating “the most evil e-liquid of all times” and came up with four flavors that they describe as “truly heavenly”. 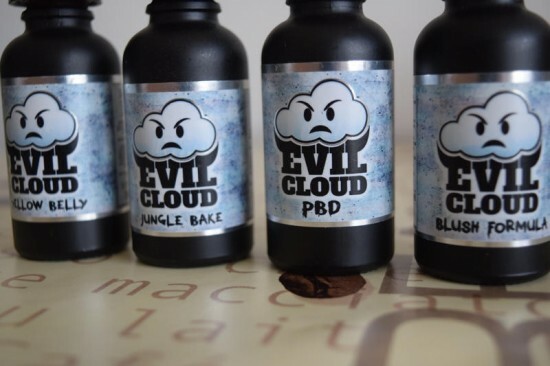 This oxymoron may be intriguing enough for some people to give Evil Cloud a try, but I personally found the flavor profiles of their four blends to enticing to pass up. 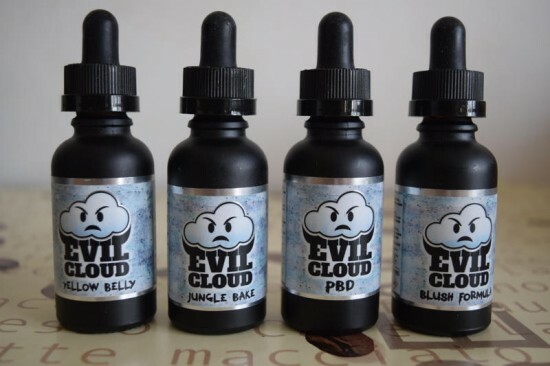 I was not at all familiar with the Evil Cloud brand when I stumbled upon it on an online UK vape shop, but after reading the descriptions of their flavors it just seemed like a juice line that was simply made for me. I’m a big fan of sweet dessert vapes, so with flavors that included custard, vanilla cookies and peanut butter, Evil Cloud caught my interest almost instantly. 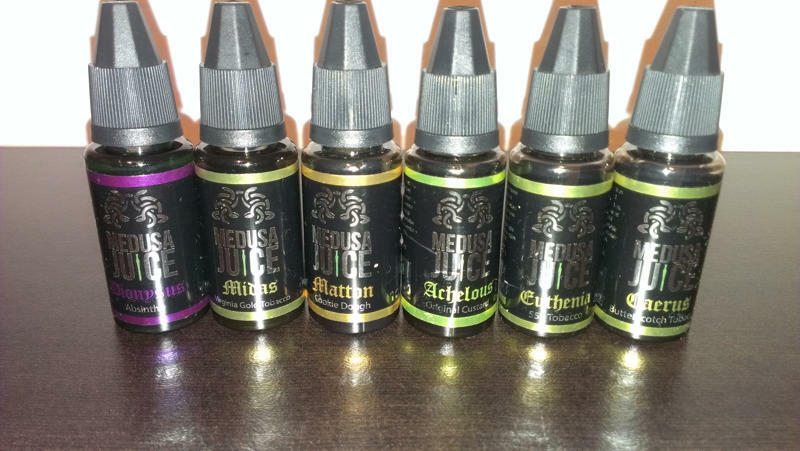 When trying new e-liquids, I usually go for the popular, established brands, but I made an exception in this case, simply because the flavors sounded delicious. Evil Cloud juices only come in 30 ml glass bottles, but I wasn’t going to let that come between me and what sounded like some really good vapes, so I ended up paying £60 for all four flavors and spent the next 4 days waiting by the mailbox. It’s now been a week since I started vaping Evil Cloud exclusively, and I can safely say I have no regrets about my leap of faith. As I said, Evil Cloud e-liquid comes in matte black 30 ml glass bottles with childproof dropper caps. 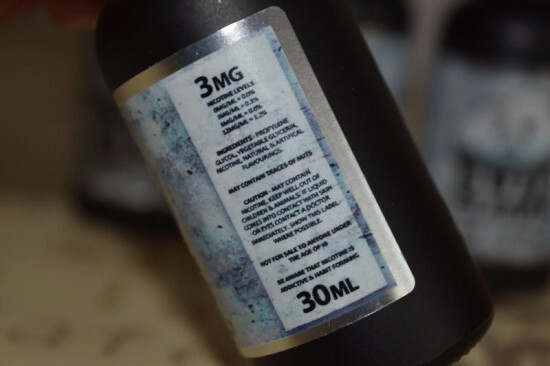 The label features the Evil Cloud logo (a frowning cloud) and the name of the flavors on the front, and various helpful information and warnings on the back. You have your usual nicotine warnings, age restrictions, ingredients and nicotine strength, as well as a batch number and company info. Overall a very designed and informative label, which I have personally come to expect from UK brands. There were a couple of things I didn’t like about the packaging, though. First of all, the bottles were not sealed, so there was no way to know if they had been tampered with in some way, which for me is a pretty big con. And secondly, the matte finish makes it impossible to tell how much juice there is left in the bottle. 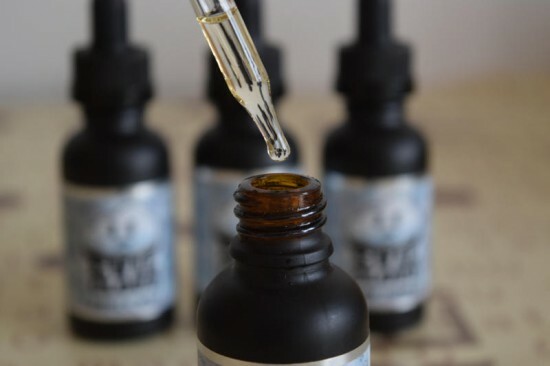 Sure, you can just transfer the e-liquid in another bottle, but you really shouldn’t have to. At 80VG/20PG, Evil Cloud e-liquids are really thick, so I recommend vaping them either in an RDA or a high quality tank. For this review, I used my Nixon and Samurai Competition drippers and the Billow v3 RDTA. I went for the 3 mg/ml nicotine strength, but this juice comes in 0,6 and 12 mg/ml nicotine, as well. Yellow Belly: You can never really go wrong with a good ol’ vanilla custard and Yellow Belly is the perfect example of that. This Evil Cloud flavor may not be the most complex e-juice I have ever vaped, but boy does it taste good! This is a sweet, creamy vanilla custard I could vape all day long and just not get enough of. It’s rich and smooth and everything else you would expect a delicious vanilla custard to be. Not much else left to say about this juice. If you’re a custard fan, give it a try, I guarantee you’ll love it. If I had to say anything bad about Yellow Belly, it would be that the sweetness takes its toll on the coils fairly quickly. One minute you’re enjoying the vanilla goodness, and the next the gunk build-up on the coils starts to give off a slight burnt taste. Change the cotton and give the coils a few dry burns and you’re good to go, but for a couch potato like me, it’s a bit of a chore. Blush Formula: this one is supposed to be a “thick and creamy organic strawberry milk with cakey undertones”. The strawberry milk is clear as day from the first mouthful of vapor, but I couldn’t, for the life of me, detect any cakey undertones. Either the undertones are really subtle, or my senses just aren’t sensitive enough, but I didn’t once get even a hint of cake. Fortunately, the creamy strawberry milk was a nice consolation. It’s a bit on the sweet side and I thought the strawberry flavor was artificial not organic, but I still enjoyed it quite a bit. PBD: The name doesn’t tell you very much at first, but after reading the flavor profile you realize it’s actually an acronym for Peanut Butter Donuts. I don’t know about you, but after trying some really good peanut butter e-liquids recently (Praxis Potions Amethyst and The Schwartz Comb the Dessert) I get excited whenever I spot it in a flavor description. And when you pair it with donuts, I simply go crazy. But here’s the thing about PBD – it’s a really well made peanut butter juice, but I didn’t get any donut whatsoever. And I’m actually inclined to believe that they actually add some donut flavoring to it, but the peanut taste is just so overpowering that it’s tough to pick up anything else. If you’re an avid peanut butter fan, that’s a good thing, and this stuff is really rich and creamy, but it does become nauseating after a while. I enjoy vaping it from time to time, but it’s definitely not an all-day vape for me. Jungle Bake: “the most delicious oven baked vanilla cookie with infused pieces of sweet banana”. I for one can’t think of a more enticing combination right now, and the best thing is that Jungle Bake really does live up to the official description. 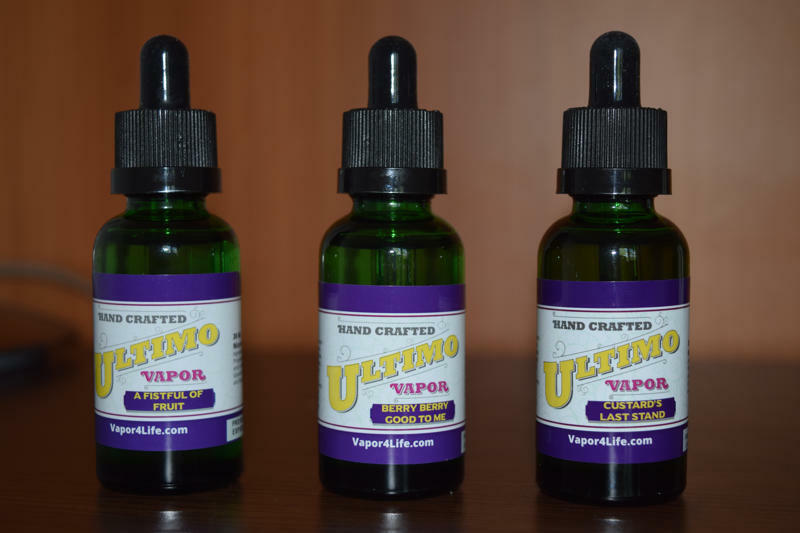 The natural-tasting banana is first to make its presence felt on the inhale, followed by the delicious cookie, and the vanilla is always in the background, complimenting the main flavors and really rounding up this amazing juice. Good banana vapes are really hard to find and that makes me appreciate Jungle bake that much more. My favorite Evil Cloud blend for sure, and one of the best dessert vapes I have ever tried. All in all, Evil Cloud made a pretty good impression, with a couple of amazing dessert flavors – Jungle Bake and Yellow Belly – and the rest decent enough to keep the impression positive. If you have a chance to try this line, I would say go for it. Hello, my name is Natalіya. 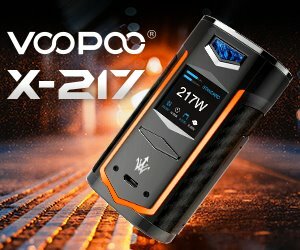 I am a representative of the international B2B show Vape Expo India, that will be held on 9-10 of September 2017 in the capital of India – New Delhi city. 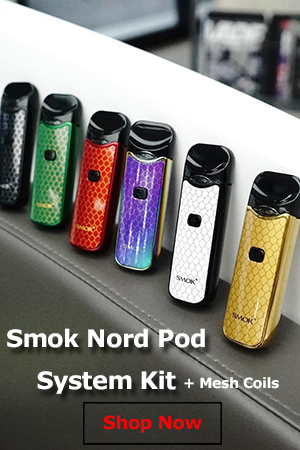 The largest manufacture and distribution companies, franchisers, vape shop owners and media representatives of vape industry from all over the world are taking part in the Expo for covering new spaces and developing vape culture of Asian countries. I would like to offer media partnership to your company.